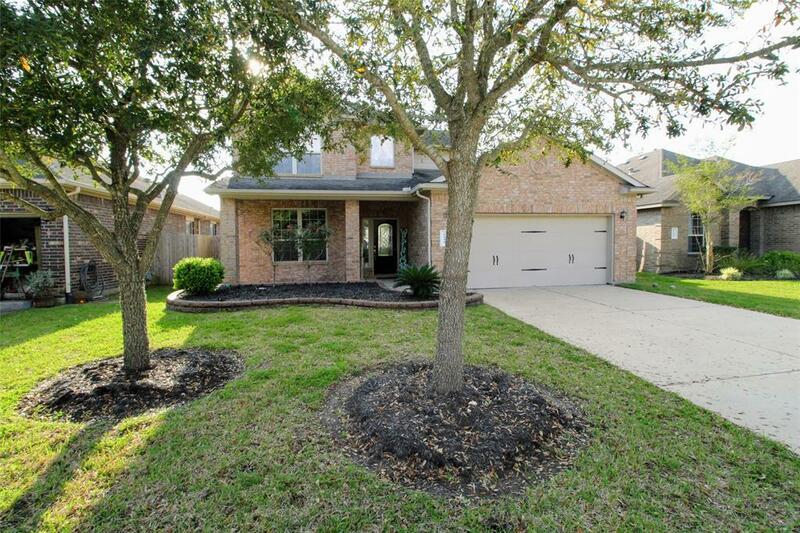 Don't miss seeing this beautiful and spacious 4 bedroom 2 1/2 bath home. 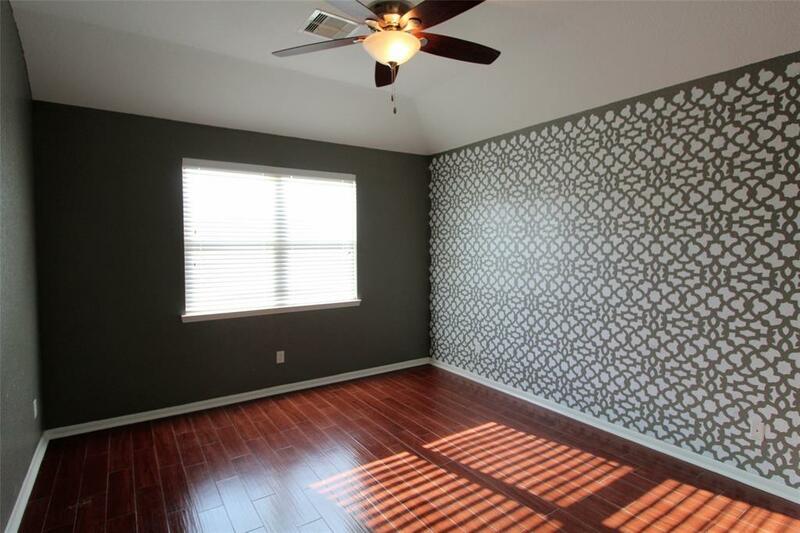 Master down and all secondary bedrooms and loft style game room/flex space upstairs. Master bath and hall bath both have double vanities-great for busy households. 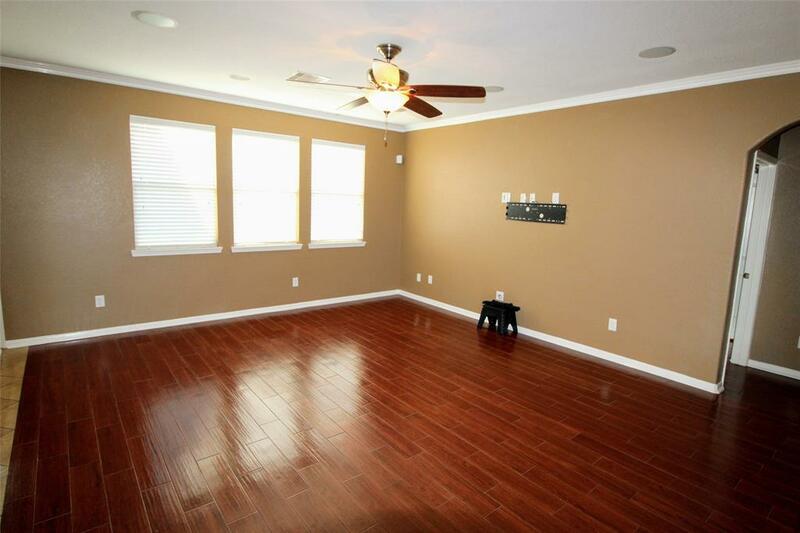 Gorgeous wood look tile floors for easy maintenance downstairs, open concept kitchen opens to family and dining. 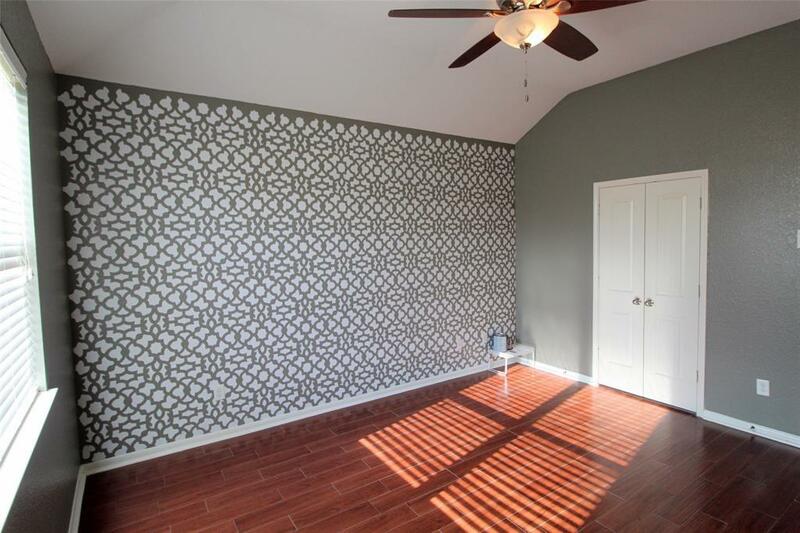 Elegant arches, 2" blinds. Oversized back patio with partial cover and hot tub/spa stays! Large backyard is a blank slate for your personal touches. Or, unwind on the front porch with a good book. All great escapes after long days. Don't miss seeing this charming home! No flooding during Harvey!! Listing courtesy of Home Transformed.